I-Drive 360 is such a beautiful spot for a wedding and wedding photo shoot! Last week, I was blessed enough to marry my best friend Shannon. The hardest part for me was how to go about picking a venue. Orlando has so many wonderful locations to get married so narrowing it down was hard. 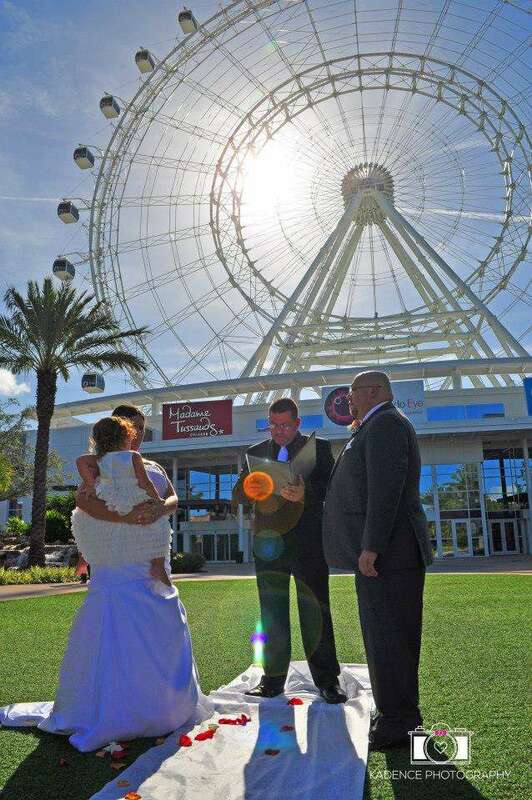 After looking at a few locations we decided that it would be cool to be the first couple married at I-Drive 360 in front of The Orlando Eye! Working with the folks at I-Drive 360 and the people at Merlin Entertainment was amazing! We decided on a date, time, and of course where the best places were for the photos! We picked a morning wedding so no tourists were in our photos. We also had a private photo session in Sealife Aquarium and The Orlando Eye! 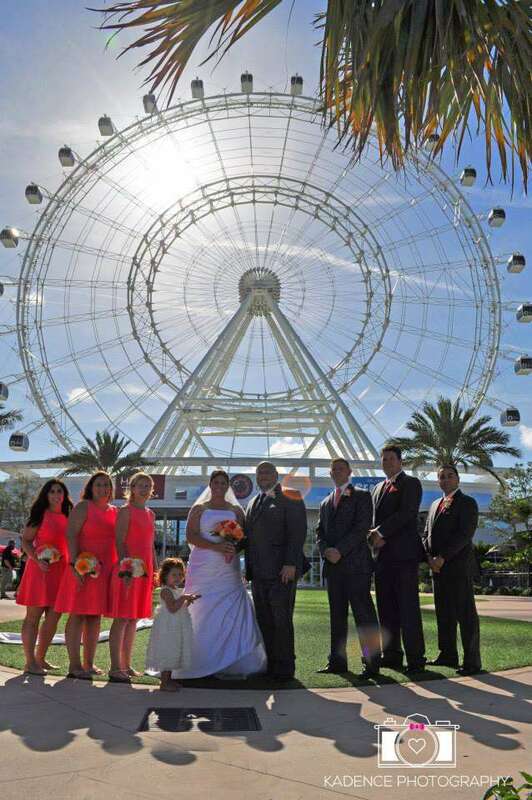 The wedding was beautiful and took place on the courtyard in front of The Orlando Eye. 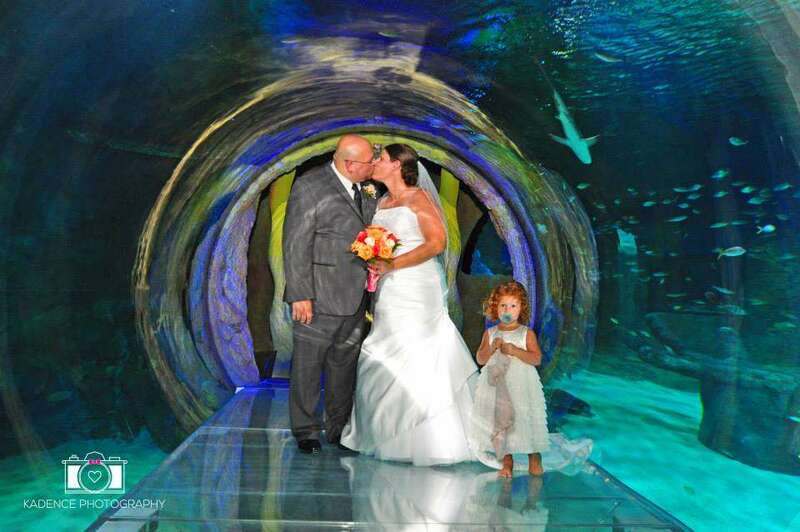 After the wedding, we went to Sealife Aquarium to take some wedding photos inside the 360 degree tunnel. The photos inside the aquarium were amazing to say the least! We then went on The Orlando Eye for a photo shoot from inside the capsule. We couldn’t have asked for a more perfect day for an amazing ceremony and beautiful photos! I want to thank all the staff at I-Drive 360, Merlin, and the workers at The Orlando Eye and Sealife Aquarium for making our day so perfect! We appreciate all you did for our special day and will never be able to say thank you enough! I also want to thank Kadence Photography for documenting our special day! For more information on having your special day at I-Drive 360, send an email here to the team over at I-Drive 360! So what about you? Where is your perfect destination wedding location in Orlando? Comment below and let me know! Previous Post American Balloons: Taking Balloon Rides to New Heights!